Along with Kristine Morris, Jay Berger formed Morris & Berger nearly 35 years ago, with the goal of helping highly qualified candidates become transformative leaders by placing them in a variety of nonprofit organizations. Prior to this, Jay served for 17 years at the University of Southern California – first, as Director of Admissions and later as Assistant Vice President for Development. He also earned his Bachelors, Masters and Ph.D. from the University. 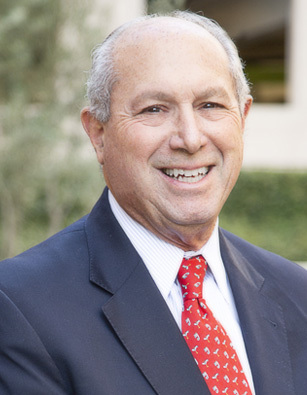 Many of the skills Jay acquired while working at USC – interviewing and assessing applicants, strategizing to enhance the university’s applicant pool, facilitating the cultivation, solicitation and stewardship of donors – serve him well in his current role. Jay’s first experience as a volunteer occurred when he was 14 years old, on the heels of competing as a swimmer in the Junior Olympics. Asked to teach a group of intellectually disabled adults how to swim, he got tremendous satisfaction from the experience – and a volunteer was born. Since that time, Jay has spent countless hours volunteering his time, including serving as chair of the board of directors of Hathaway-Sycamore Children’s Services, The Chandler School, and Flintridge Preparatory School; on the board of directors of Covenant House, California, and the California Association of Independent Schools; on the founding board of directors of Pasadena Pops; and on the founding board of councilors of the USC Dornsife College of Letters, Arts and Sciences. He is also an active volunteer with the Network of Nonprofit Search Consultants.